1) When you are writing for weary women, who are the women you anticipate serving through this particular project? 2) How can even good, religious activity slowly drive women into a state of weariness (why do church-going women need the Gospel message)? 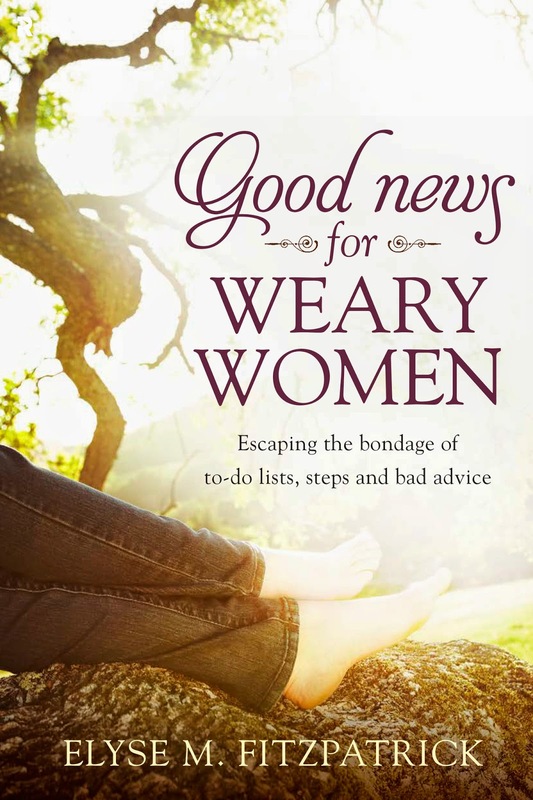 3) What is the good news for weary women? So, I hope this post and these questions help to deepen your longing for the message of first importance – the glorious Gospel. And, I hope you’ll take advantage of this amazing resource, Good News for Weary Women , and find encouragement through Elyse’s message. If you never got off the ground with a 2013 Bible reading plan or are so far behind you’ve already thrown in the towel, on every Monday in March at the Crossway blog they will be reading Romans 1-8 together. Elyse Fitzpatrick will share devotional thoughts from Romans, helping us delight in God’s word and rejoice in the gospel in 2013. So join Crossway in March as Elyse encourages us again from Romans 1-8. We’re invited to bring questions, insights, and interact in the comments section. 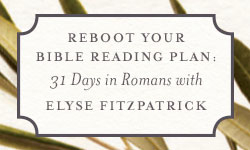 For more devotional material to accompany Reboot with Romans, check out Elyse’s newest book­—Comforts from Romans: Celebrating the Gospel One Day at a Time.